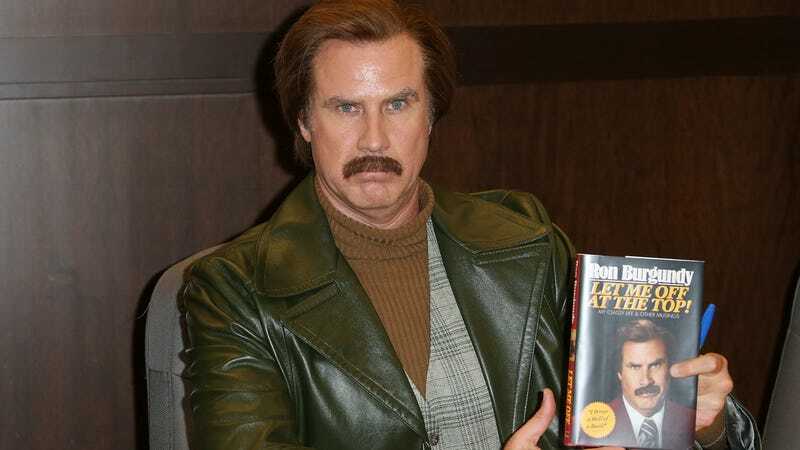 In December, when iHeartRadio announced The Ron Burgundy Podcast—a podcast starring Will Ferrell as his character from the Anchorman movies—we had a few questions. Specifically, we were wondering if there would be an in-universe explanation for why a newsman from the ‘70s would have a podcast in 2019, or if the show would take place in the same time period as the Anchorman movies and establish an alternate reality where podcasts were a big thing in the ‘80s. Today, iHeartRadio released an audio trailer for the show, and it turns out that Ron Burgundy doesn’t really know the answers to these questions either. The premise of the trailer is essentially that Ron Burgundy doesn’t really know what a podcast is or why he suddenly has one, so the snippets from the show you can hear in the clip are pretty silly. We’re still not sure how it fits in the Anchorman canon, but maybe we don’t actually have to worry about that. You can hear the trailer below or at this link.